HP Color LaserJet Pro M252dw is designed to work with chemically more advanced toner: the new HP Original Toner Cartridges with JetIntelligence. This compact printer has been designed to meet the needs of your growing business. Excellent HP model provided with a small 3-inch screen that tells the status of the print. This printer stands out for having a USB port that saves time and prints directly from your device without having to turn on the computer. It is also very comfortable because it allows two-sided printing automatically, so you can save time and paper. HP Color LaserJet Pro M252dw allows printing from anywhere thanks to your ePrint system. You can print from our iPad, iPhone, etc. Wirelessly. The paper trays of this model have a capacity of 150 sheets in the case of the input tray and 100 in the output tray. This capability allows you to print one or more documents of many pages without having to get up and replace the paper. In addition, it is a relatively fast printer that allows printing up to 18 pages per minute. This model requires an investment than other models on the market, but do not forget that it prints in color and offers quality in your prints. It is a great model for an office or for students who need to print enough color documents. This compact printer, combined with the original HP JetIntelligence toner, helps meet the needs of your business and is ready to work when you are. You can create professional-quality color documents, and accelerate job fulfillment with fast automatic two-sided printing. Access integrated business applications that save time. It has suspend mode from which it prints faster than any other printer in its class. Direct printing from USB drive for Microsoft® products. Printing from the mobile device with NFC technology enabled, no network required. Remote printing without access to the corporate network. Protect your data and manage your devices with ease with a suite of essential security and management features. • Cloud-based and Wi-Fi mobile printing. • Ethernet for connection to a network. 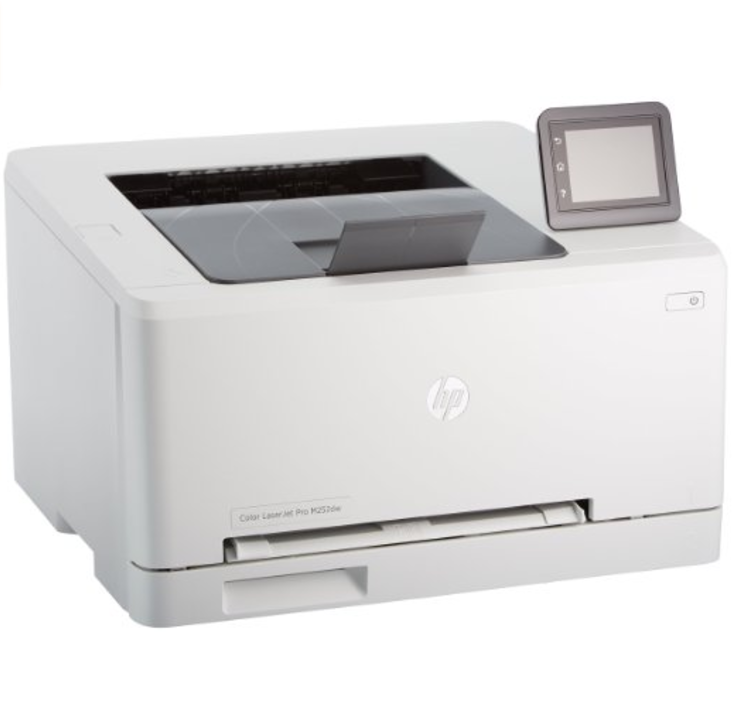 The HP Color LaserJet Pro M252dw color laser printer is a great fit for personal or light-duty shared use, with fast speed, high-quality output, network connectivity, and support for mobile printing. • Color laser printer. Memory 256 MB. • Automatic double-sided printing. Print speed up to 18 ppm, A4. • 3-inch (7.6 cm) color touch screen with business applications. • NFC touch-to-print, direct wireless printing, HP ePrint, Apple AirPrint, Mopria certification. • Networking Fast Ethernet, Wireless 802.11b / g / n.
One year guarantee. Warranty and support options vary by product, country, and local legal requirements. Visit http://www.hp.com/support for information on HP’s award-winning support and service options in your region.